There were no surprises in President Trump's rollout of his second Supreme Court nominee on Monday night, but both sides have dug in. 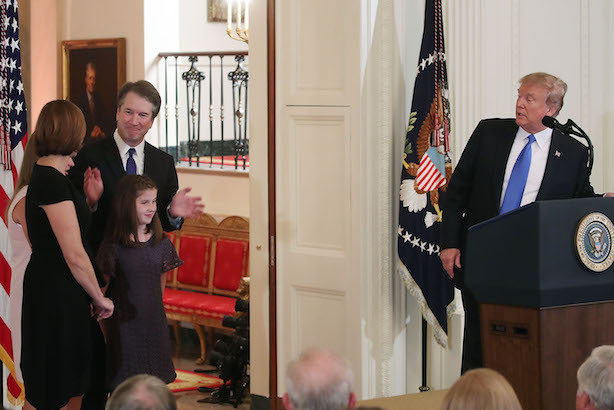 After much teasing on Twitter, President Donald Trump’s rollout of establishment conservative Brett Kavanaugh as his nominee for the Supreme Court went according to plan on Monday night. Trump called Kavanaugh "one of the finest and sharpest legal minds of our time" (New York Times). Though Democrats have few tools to block Kavanaugh from taking a seat on the High Court, expect a bruising nomination battle nonetheless. Kavanaugh backers have planned an aggressive media blitz for the first 36 hours after the announcement (Politico). Multimillion-dollar ad campaigns from both sides will target pro-choice Republican Sens. Lisa Murkowski (R-AK) and Susan Collins (R-ME) (Wall Street Journal). Conservative group Judicial Crisis Network is planning a seven-figure push targeting swing voters (The Hill). The threat of losing a $26 million payout from WPP didn’t deter Martin Sorrell from outbidding his former company to acquire MediaMonks (Guardian) in a deal reportedly worth $352 million (WSJ). Sorrell has also signalled aggressive expansion plans for the Amsterdam-based digital production agency in Germany and India (Campaign). YouTube is kicking off a $25 million push to fight the spread of fake news on its network. The platform will develop a working group of news organizations and media experts to counsel it on new features and support publishers and journalists (TechCrunch). It’s also planning to help well-established news sources show up more prominently in search results (USA Today). Not to say we told you so, but to virtually no one’s surprise, IHOb is back to IHOP after a month of embracing its inner burger joint (BuzzFeed). Stunt or not, the brand’s "word of mouth score," measured by YouGov BrandIndex data, hit its highest point since 2012 last month (Business Insider).